Tesco chief executive Dave Lewis has painted a positive picture of the supermarket's Christmas trading, despite turmoil caused by the collapse in November of Palmer & Harvey. The distributor supplied all of the tobacco products sold by Tesco, along with fresh and frozen food for some store formats, forcing Tesco to make complicated plans to set up its own supply chains. "It was extremely unfortunate for everyone involved what happened in November," Lewis said on a call to journalists this morning. "We did bring an enormous amount of volume and complexity into our system at what was the busiest time of the year." 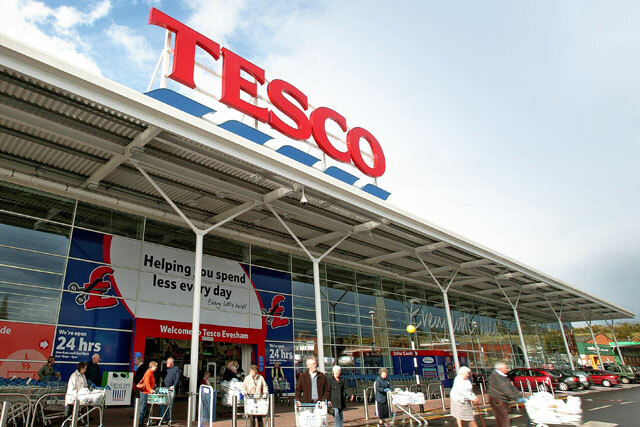 Tesco’s UK sales for the six weeks up to 6 January were up 1.9% like-for-like, and 2.1% total. This was driven by 3.4% growth in food, with fresh food up 3.7%, but Tesco’s general merchandise sales fell 0.6%, bringing down the overall growth figure. Lewis said the brand’s decision to avoid passing increased costs on to consumers where possible had been vindicated. "Earlier in the year we took a strategic decision to hold back on inflation, passing on less to consumers than our peers – that set us up well," he said. He said the business’s planning and preparations for the Christmas period had been "spot on", adding: "If you were tracking the sentiment on social media, you could see the positive reactions from our consumers too." Lewis was also asked about plans just announced by Theresa May to eradicate avoidable plastic waste in the UK by 2042. "We’re in agreement of the need to reduce packaging in total," he said. "The critical thing, our question is, what has the bigger impact on the total amount of plastic and packaging? We’d be supportive of a much more holistic approach to packaging."